Authorities announced a second death from cholera, which causes acute diarrhea and is spread by contaminated food and water — conditions that some 128,000 displaced cyclone survivors now risk daily while living in temporary, often crowded, shelters. Cholera can kill within hours if not treated. The cholera outbreak has grown swiftly since it was declared last week with five confirmed cases. 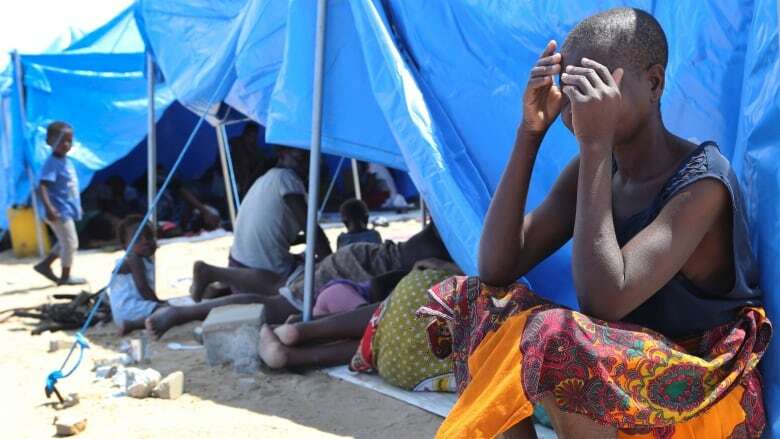 Now there are 1,428, most of them in the hard-hit port city of Beira, which has been the hub of relief efforts since Cyclone Idai roared in on March 14. The city of a half-million residents is most at risk from cholera, but the disease also is reported in outlying communities in central Mozambique. The new death was in Dondo, government officials said. Monday's count of cholera cases had been 1,052. That figure was already more than double the 500 beds that are now open in seven cholera treatment centres across the region, though the World Health Organization said it plans to "boost the capacity significantly." Authorities on Tuesday also said the overall death toll in Mozambique from the cyclone had risen to 598. The number has been called very preliminary and the real toll may never be known, with some people quickly buried or washed away. Some 900,000 oral cholera vaccines arrived in Beira for the expected launch of a vaccination campaign on Wednesday. "The next few weeks are crucial and speed is of the essence if we are to save lives and limit suffering," WHO's regional director for Africa, Matshidiso Moeti, said in a statement. Cyclone Idai also killed at least 259 people in neighbouring Zimbabwe and at least 56 in Malawi. It damaged or destroyed 54 health centres across central Mozambique, further challenging efforts to contain cholera and other water-borne diseases such as malaria. The Canadian government previously announced it will provide up to $3.5 million in initial emergency assistance to support humanitarian organizations responding to the disaster and will also donate relief supplies, including tarpaulins, shelter kits, mosquito nets and blankets.